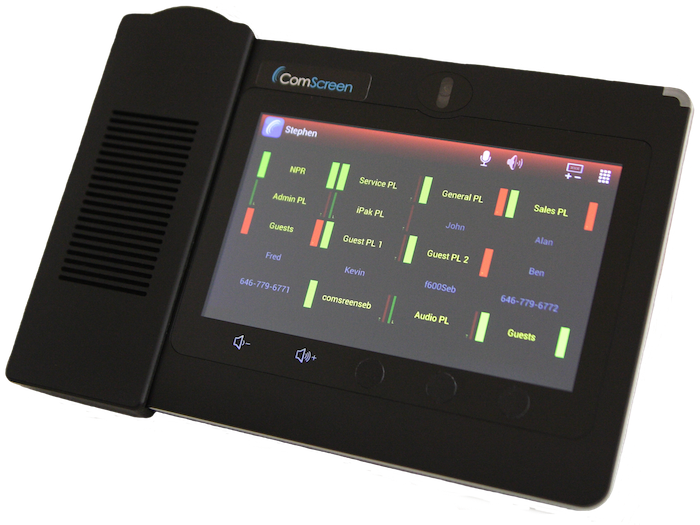 VCOM™ connects people-to-people, people-to-groups, and facilitates conferences independent of device or location. Furthermore, VCOM offers a distributed and easily customized solution for integrating disparate communications systems in multiple locations into a seamless and rapidly re-configurable solution. The distributed nature of the platform architecture allows individual communications systems to be located anywhere that a network connection can be established and the interconnection of these systems can be controlled from any location or multiple locations. The robust platform is fully redundant such that if a site is lost, a backup is immediately established. 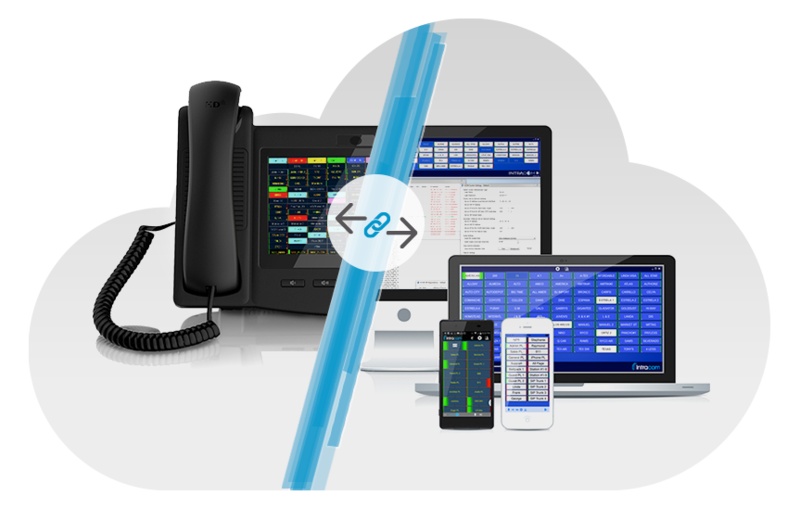 VCOM incorporates a fully functional IP PBX within its framework and enables seamless integration between traditional telephony and Matrix communications. This means users can place and receive standard phone calls simultaneously with Point-to-Point, Group Call, and PL (aka “Hoot”) communications. 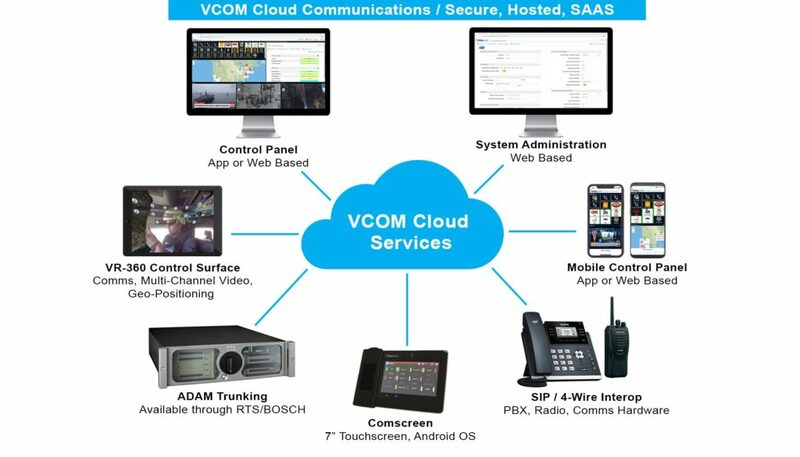 VCOM’s phone services have been optimized for use on Android devices, including ComScreen. Standard PBX capabilities including contact lists, call history, and inbox notifications are incorporated. In addition to on-premises deployments, VCOM is offered as a Software as a Service (SaaS) application in the cloud. VCOM SaaS is turnkey and ideal for distributed user scenarios and rapid deployments with minimal capital expenditures. 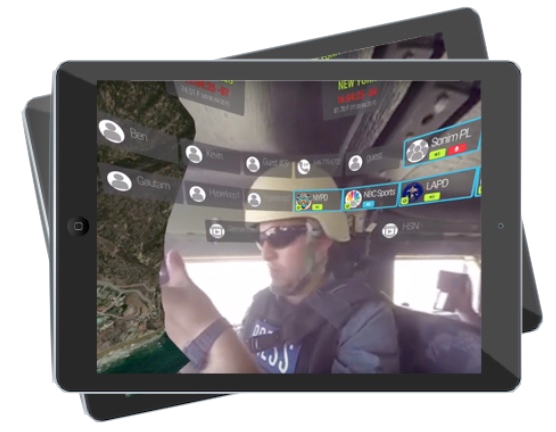 Make qualified mission critical decisions using robust real-time data from many sources made instantly digestible through VR-360. Our SaaS offering enables you to build, re-create, and extend control rooms and complex team communications from operatives in the field to support and decision makers in VR-360. 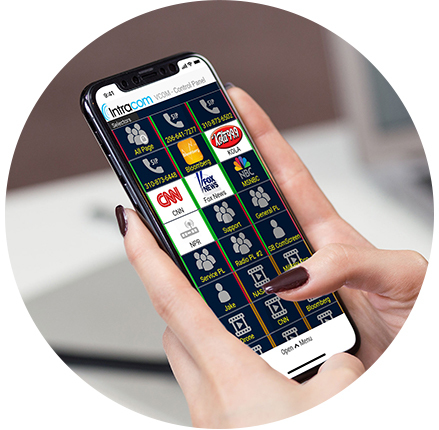 Our comprehensive solution includes the most advanced in the field push to talk communications and data acquisition capabilities and revolutionary virtual control room user interface that operates in virtual reality with VR glasses or without by swiping and pinching in 360 mode on iOS or Android Smartphones or Tablets. 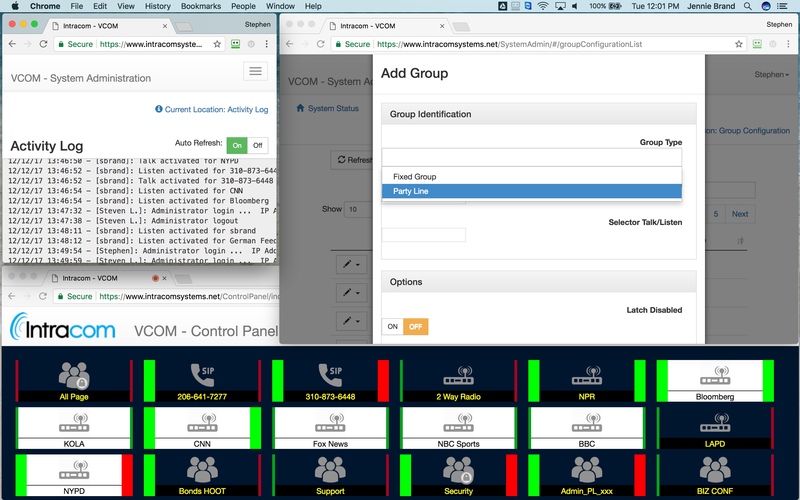 VCOM’s web-based system admin and WebRTC communications UI run on Chrome, Edge, Safari, and Firefox. Our REST API enables partners and customers to integrate VCOM’s full capabilities into their work flow.